Learn how to exchange your Ethereum (ETH) to BERRY Token and transfer it to your own wallet. Since BERRY tokens are officially represented on two major exchanges, you can find two guides on how you should proceed on each of them. 1. Go to HitBTC.com and click on the ‘Register’ button on the main page. 2. Enter your email and password, click on the ‘Register’ button to proceed further. 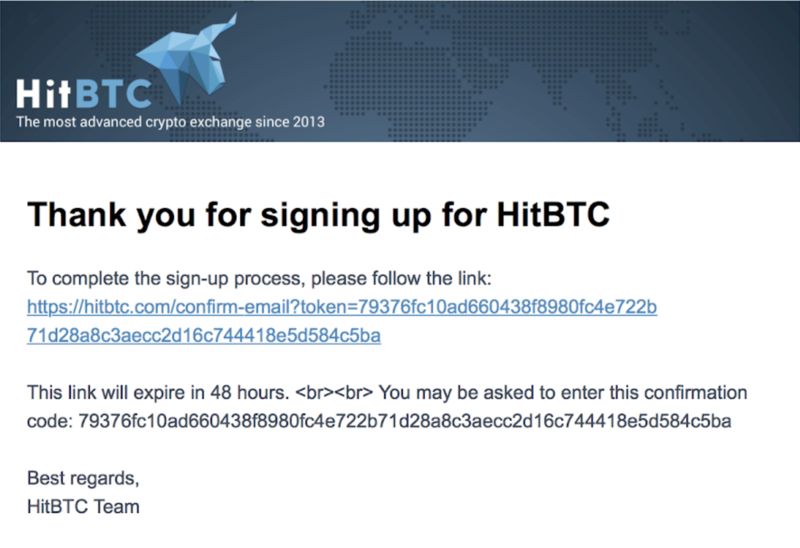 HitBTC will send you a confirmation letter to your email. Check your mailbox and follow the confirmation link. 3. 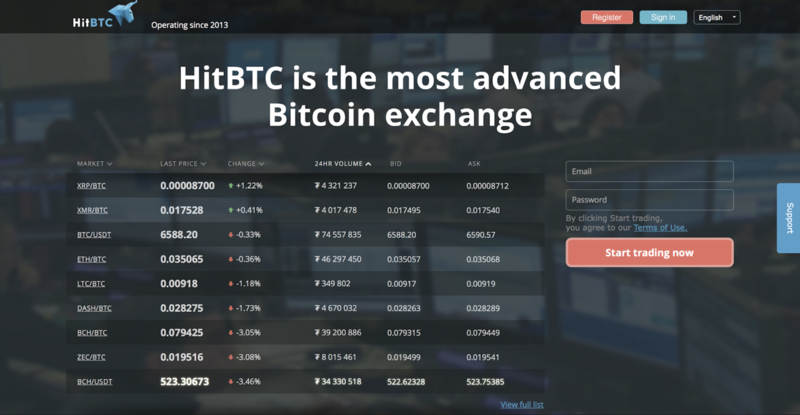 This is the HitBTC dashboard. Click on the ‘Deposit’ button to transfer your USD to your account. 4. Click on the ETH icon to choose the currency you want to deposit on your HitBtc account. 5. HitBtc platform will give you the wallet address where you should send your Ethereum for the deposit. 6. Go to your MyEtherWallet and click on the ‘Send Ether & Tokens.’ Enter the HitBtc wallet address and proceed with the payment. 7. Go back to the HitBtc platform. Once your transaction is deposited, you can go to the ‘ETH-to-BERRY’ exchange page. 8. Scroll down to the ‘Buy BERRY’ block on the right. Choose the amount of BERRY tokens you want to buy, and the system will tell you how much ETH it will cost. Click on the ‘Buy Market’ button. Your order for BERRY is set! Let’s see how you can exchange your Ethereum for BERRY on the Idex exchange. 1. Go to Idex.market and click on the ‘New Wallet’ button on the top menu. 2. Enter a password that you won’t forget and click on the ‘Yes - Create New Wallet’ button to proceed. Note: Losing your password will result in losing your crypto. 3. Download your new Keystore file and save it on your USB flash drive or external hard drive for extra security. 4. Read the warnings carefully and click on the ‘Got it. Get My Private Key.’ button. This is the private key that you have to save in a secure place. Anyone who will be able to access it will be able to access your wallet and your coins. Note: This is a separate exchange wallet for storing your crypto on the Idex exchange. Never store your tokens here permanently. 5. Click on the ‘Return to exchange’ button. 6. Click on the ‘Unlock wallet’ button on the top menu and select the method that you’ll use to access your wallet. 7. Upload your Wallet Keystore File and enter your wallet password. Now you’ve entered your Idex exchange dashboard. 8. Click on the profile icon on the top menu, then choose the ‘Wallet’ option in the drop-down menu. That’s how you copy your wallet address to the clipboard of your computer. This is the wallet we’ll be sending your Ethereum to so that we can trade it for BERRY tokens. Note: Make sure you store your wallet address in a safe place. 9. Go to your MyEtherWallet and click on the ‘Send Ether & Tokens.’ Enter the Idex wallet address and proceed with the payment. 10. Go back to the Idex platform. Once your transaction is deposited, you can go to the ‘ETH-to-BERRY’ exchange page. 11. Scroll down to the ‘Buy BERRY’ block and enter the amount of tokens you want to buy. 12. Click the ‘Buy’ button, and your order is set.